You can trust your RV in the hands of the experts at P&B Auto Body. Backed by over 30 years of experience, P&B Auto Body prides itself in providing flawless and professional RV collision repairs. 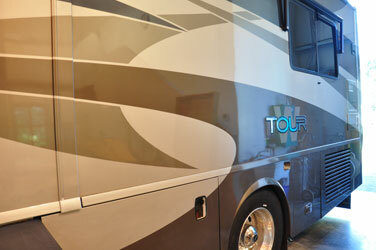 Low quality or unfinished RV repairs will quickly drop the value of your vehicle. Not every shop is qualified or experienced in RV collision repairs. Protect your investment by bringing your vehicle to P&B Auto Body.